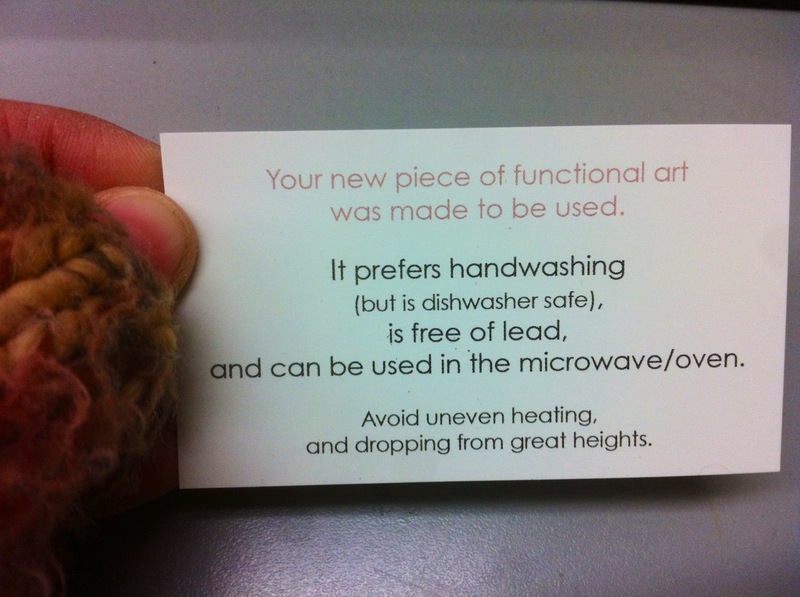 I had care cards made this season, to help my customers understand "how to look after your functional art". I believe it is important to support the Canadian economy, especially the businesses in your local area. So when a new print company started up in Milton, ON I decided to see what they could do. And I was pleasantly surprised with the results. Colin Nicholson of Tiny Print co was personable and efficient. His printing was fast and affordable. Not only did he deliver the cards himself, he also took the time to email me back and forth with pantone swatches so my design printed true. Tiny Print Co is a small company, with great quality - I would highly recommend his services. Check out his website to see what he can do!